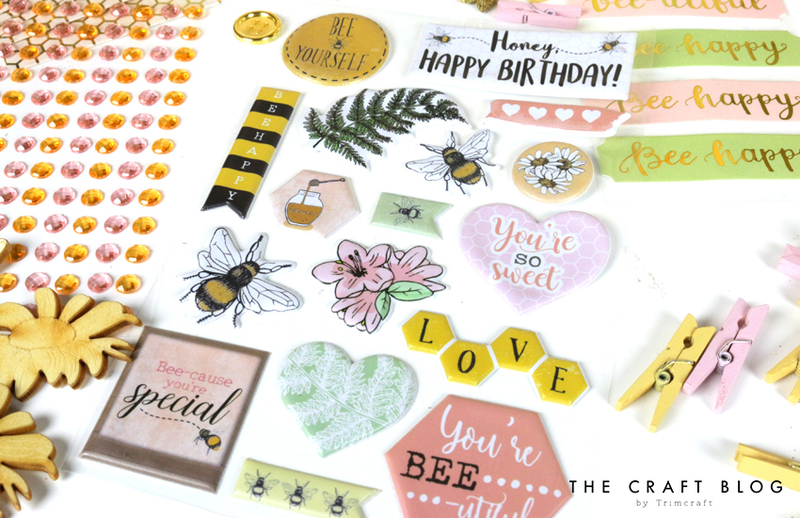 To help you encompass the countryside look on all of your crafty makes, this collection all features dies, golden buttons, gems, ribbons, stamps and these STUNNING gold bee charms! (Yep, we know what you’re thinking, these charms can be used for papercraft, fabric craft, and jewellery. The possibilities are endless! We HAD to include a pack of Washi Tape too and to really treat you, one of the tapes features gold foil, Washi goals right here! We know they’re some stationery addicts among you so we think you’re going to love the next product….stickers of course! The pack of puffy stickers perfectly complements the countryside themed paper pad and will be brilliant for adorning your planners, journals, papercrafts and so much more. These steel dies are just as intricate as the designs in the paper pad! Featuring a bee hive, a honeycomb pattern, a honey bee, flowers and a ‘Bee Happy’ sentiment, this die set will certainly make you feel super happy! What do you think of this beautiful Dovecraft Bee Happy collection? Make sure to keep your eyes peeled in stores at the beginning of September to pick up your own selection of goodies! Oh wow. What stores are going to be stocking them near me in Brighton or a UK on line shop? I never find new release's till it's to late then they've sold out! Looks amazing - can't wait! Wonderful collection would love these in my stash stunning designs &a Dies. I've found out when they're going to stocked down south so as soon as I know the date I'll be off to The Range. 😉😉Whoop Whoop.